Thermally protected. UL recognized; CSA or ULc certified. Reversible rotation. 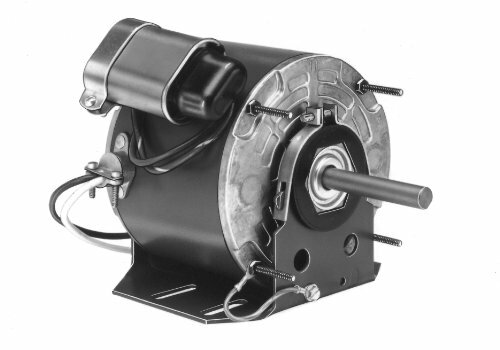 Direct drive blower and unit heater motor with ball bearing. The capacitor and base are included. 7.5M 370V Capacitor. Ideal for unit heaters. All angle mount bearings. 1/4 Horsepower. 1075rpm. 1 Speed. 115 Volts. 60Hz Frequency. 3.8 amps. Shaft measures 1/2" diameter by 3-1/4" length. 4-1/4" Motor length.